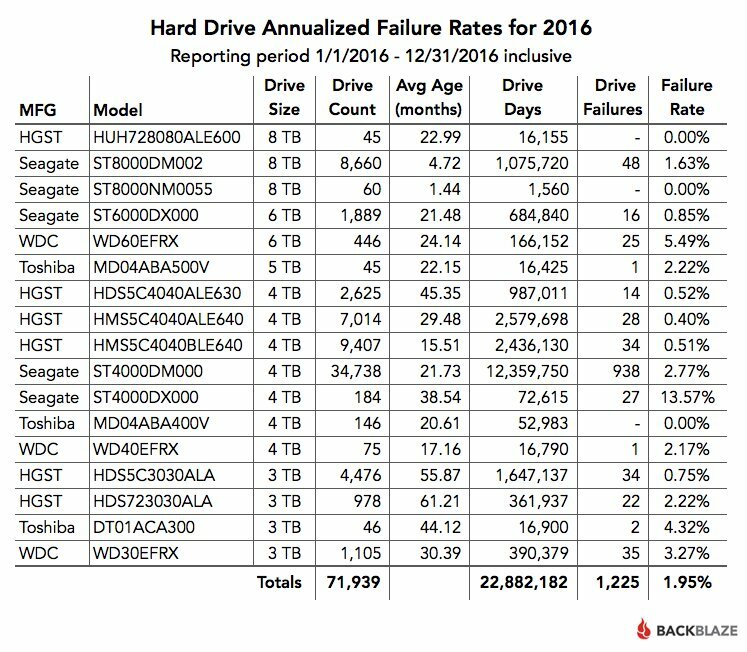 Aggregating all the hard drive failures by manufacturer, the hard drive maker with the least failure rates once again was HGST which only experienced a failure rate of 0.60%. 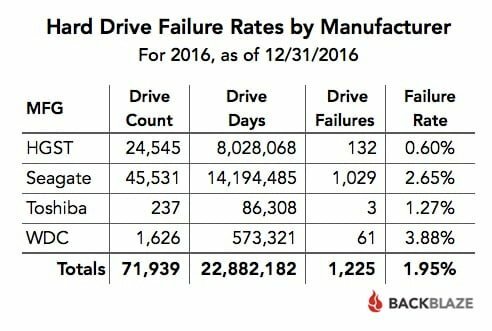 The drivemaker with the highest failure rate was WDC with a failure rate of 3.88%. While these statistics are definitely interesting, do keep in mind that Backblaze is using drives designed for consumer use in a 24/7 on datacenter environment, and it’s not a controlled study by any means with different sample sizes and different amount of time the drives have been in the datacenter. Not only that, there’s also no information on how much certain drives are being used compared to other drives which may affect longevity. That said, HGST’s performance here is pretty good and is looking like a pretty good pick for anyone in the market for a new HDD.